Coming soon: An official PayPal bank account. Although PayPal used to require that you already have a bank account or card with another financial institution, that won’t be necessary with new offerings debuting this summer. The company will be going from only offering payment products to having actual deposit-holding accounts backed by the Federal Deposit Insurance Corp. and are specifically intended for people who don’t already have bank accounts. PayPal’s market for these products include the 30 million Americans don’t yet have bank accounts — and potentially more than a billion outside of the country don’t either. The fees that these people have to pay for access to alternative financial services accounts for 9.5% of their income, according to Bill Ready, executive vice president and chief operating officer of PayPal. Apparently, the company intends to undercut the fees that this target market is paying to so-called non-bank providers of banking services. PayPal is already testing these offerings are already with a limited number of consumers, according to PayPal spokespeople. Meanwhile, PayPal already offers at least half a dozen different banking-related products — online money transfers, a digital line of credit, and four different Mastercards spanning credit with rewards, debit and prepaid value. You may have received marketing offers for the different credit and debit products if you already use PayPal for money transfers — but they’re distinct from the plans to offer bank accounts to those who lack them. Although the company’s assortment of payment products has already made it a pretty close competitor to a bank — in fact, people with PayPal merchant accounts could effectively use them like checking accounts — now the company is officially going there. 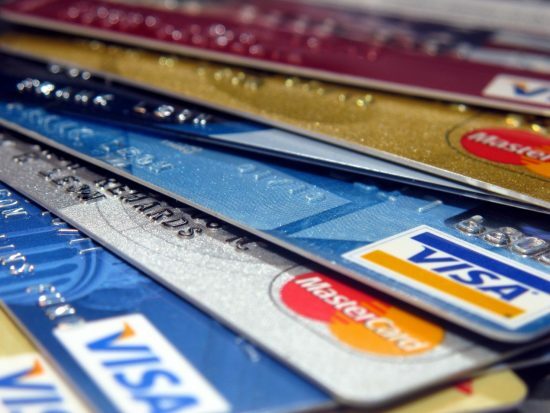 The company plans to offer prepaid cards connected to the deposit accounts intended for those who are currently unbanked. If you’re confused about the difference between all of these products — let alone the future PayPal bank account — here’s a breakdown of how each of them functions and what they cost. Money Transfers: PayPal got started in online payments, which have no fee if you’re the buyer or you’re sending money to friends and family. Otherwise, sellers and people who generate invoices on the site pay fees of 2.9% of the value of the transaction plus 30 cents apiece for domestic transactions. Internationally, it goes up to 4.4% plus a fixed fee based on the currency in question. 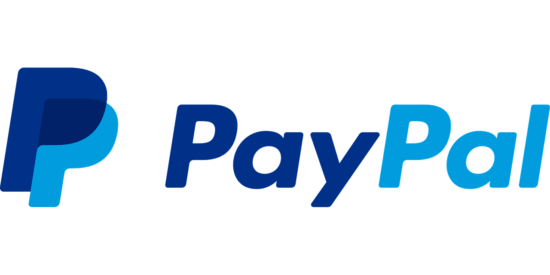 PayPal Here Card Reader: This account for merchants competes with the Square card reader and charges a fee of 2.7% when a buyer swipes a card or 3.5% plus 15 cents for manually entered transactions. PayPal Credit: This digital line of credit actually doesn’t require a plastic card; purchases of $99 or more have no interest if you repay it in its entirety within six months — take longer to pay and late fees apply. PayPal Cashback Mastercard: Earn 2% back on all transactions, a rate that comes in a bit higher than what other rewards cards tend to offer — and they’re redeemable toward your balance at any time, without any minimums required. The card has no annual fees, but interest applies once you start carrying a balance. PayPal Extras Mastercard: Earn three points per $1 spent on gas and restaurants, two points per $1 spent on PayPal and eBay one point per $1 spent on all other purchases; the points are redeemable for gift cards, travel vouchers, or cash back. PayPal Cash Mastercard: This connects a debit card to your PayPal balance, allows you to set up direct deposit for free and withdraw cash from ATMs, with no annual account fees nor minimum balances required. PayPal Business Debit Mastercard: The business version of the PayPal Cash MasterCard, it combines the debit card features described above with the ability to earn 1% back on all purchases. PayPal Prepaid Mastercard: This connects a prepaid card to your PayPal balance so that you can load more money onto the card at select locations; plus you can opt into a tiered-rate savings account with up to a 5% annual yield depending on how much of a balance you carry. In many cases, PayPal offers better pricing on banking products than you might get from more traditional financial institutions. PayPal accounts can also serve as a platform for people who need to set up dedicated business or merchant accounts without having to pay typical merchant fees. Although the company has lots of products and plans to offer some new ones, one thing that isn’t entering the mix involves paper: PayPal doesn’t sound like it’s going to enable check writing on the new bank accounts. But it might not need to. The company already has over 227 million accounts around the world and seems likely to keep growing beyond that. Readers, which features do you require in a bank provider? And what kinds of PayPal features do you make use of — and which ones are you considering adopting? Would you want to open an official PayPal bank account. How Should You Go About Finding the Right Bank? Which Supermarket Branches of Banks Have Sunday Hours? Which Credit Card Has the Best Travel Rewards Program? Can You Get Free Money From PayPal? With the holidays approaching, people are looking for ways to make more money. What if you could do so without having to do much of anything? There are a few ways to pull in free PayPal money. Can You Legally Get Free PayPal Money? “Free money” definitely makes it sound like you’re stealing something. However, you can get free PayPal money fairly easy by taking a few minutes to take surveys. Most survey companies offer incentives for customers. These perks for completing surveys include things like gift cards, trendy items (like the Xbox One), and cash money. But PayPal isn’t a survey company. So, how can you get free money from PayPal? To get free PayPal money, you’ll want to find a reputable survey company that is offering PayPal cash as the perk. While this may seem impossible, there are a few companies offering legitimate surveys for PayPal cash. PrizeRebel is a survey company that has rewarded over $11 million in cash and prizes since 2007. The company has proven to be a reliable and reputable source of extra income for many people. If you’ve used PayPal, you know how easy it is to use. PrizeRebel has made it possible for its users to receive free PayPal money when they participate in a survey. They have a number of PayPal cash prizes available. Similar to PrizeRebel, PointsPrizes allows you to accumulate points as you complete different offers sent to you. Once you’ve accumulated enough points, you can trade in your points for gift cards or PayPal cash. The first payout with PointsPrizes could take up to 30 days, however, it is a legitimate way to get free money from PayPal over and over again. Swagbucks is another great survey company where you can reliably receive free PayPal money. If you’ve used Swagbucks before, you know that they offer a number of different prizes. Now for every 2,500 SB you earn, you can get $25 deposited to your PayPal account. You’ll need to verify your PayPal account with Swagbucks. It should also be noted that your PayPal account will need to be registered to the same email you use with Swagbucks. To learn more about getting free PayPal money from Swagbucks, click here . As with many of the ways to make money online, there are some individuals trying to scam others. If you’re looking to make free PayPal money, be prepared to take surveys or download apps. You will need to take some sort of action to get this cash. Do not trust the sites that claim that they have a free PayPal money hack or if they are claiming you can get free money from PayPal without taking surveys. Also, keep in mind that you should be redirected to the PayPal site when being asked to verify your account. If a site is asking you to enter your details directly without setting up an account or without being directed to the PayPal site, it is likely a scam. Earning money online can be easy and fast taking online surveys. What are you waiting for? Get free PayPal money now! When two large companies begin to do business together, people tend to pay attention. For instance, when a company as large as Kroger buys another company or begins doing business with Albertsons, people notice. There has been a buzz around two huge companies and a potential partnership. 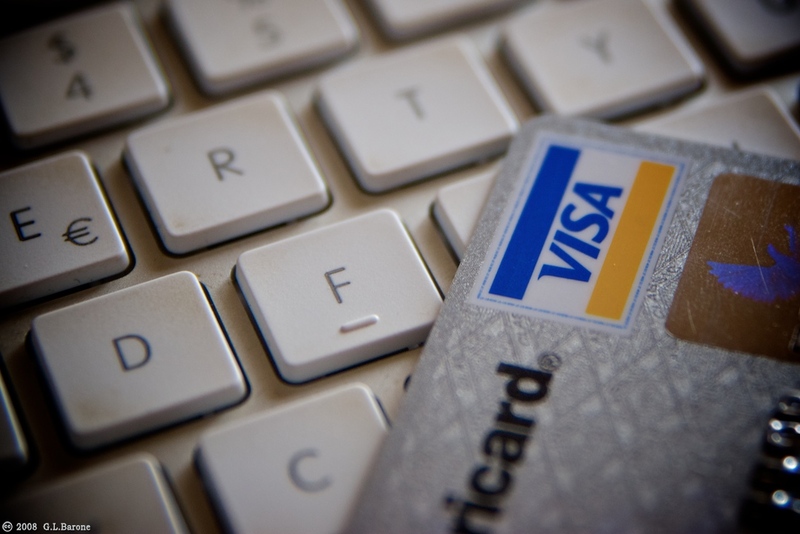 PayPal and Visa may be joining forces, according to Investors.com. However, SunTrust said it has still yet to be seen whether or not the two companies can come to an agreement. Traditionally, PayPal has offered customers a way to link to their bank account or pay directly through PayPal. However, adding in a credit card with the company could significantly help PayPal’s growth efforts. Analysts from the investment bank (SunTrust) say that the deal could potentially bring PayPal an additional $300 million in transaction expenses. The only problem is, for PayPal to take on these additional expenses, they would have to see lifts in payment volume or volume from its cheaper funding sources. PayPal stock has been doing well in recent months. They’ve showed plans to continue building the company and even planned to have a headquarters in Charlotte, N.C., prior to the HB2 bill being passed. The company is ranked among the top 9 percent of all the stocks when it comes to earnings and growth. Much of the company’s performance in the stock market this year thus far points to having a successful Q1. The company, which thrives from e-commerce has been taking on a few heavy competitors recently though. Visa and PayPal have seemingly been going head-to-head for some time. PayPal is the new way to pay, while Visa is much more traditional in nature. More recently, Amazon.com began to gun for PayPal with an announcement about its new way to pay. The online superstore hopes to launch “Amazon Payments,” which will allow for Amazon customers to use Amazon to pay for things on other e-commerce sites. This is a part of a three-year effort by Amazon to continue to grow its payments department. The company hopes that people will begin to use Amazon Payments versus other forms of paying (when online). The deal with PayPal and Visa may be what saves PayPal if Amazon Payments really takes off. If PayPal decides to pair with Visa (or Mastercard) to start a line of credit for its customers, it will be able to stay afloat in a world that seems to be taken over by Amazon. However, if it decides it will not benefit from the deal, PayPal may have trouble keeping people on board. PayPal does have a few things going right for it though. Many companies use PayPal to pay its freelance employees (i.e. writers and remote workers). It is also a great way to send last minute cash gifts, pay for items online and even pay at some checkouts in store. The website has certainly grown since it was first launched (its biggest partnership at the time was eBay). However, there needs to be continued growth or the company will fall underneath concepts like Amazon Payments in the future. PayPal: Will PayPal Outgrow Visa? When you are looking into stock prices and determining whether or not you want to buy stock in a company, you have a lot of things to think about. Take companies like Visa and PayPal, for instance. It seems that the way that people are paying for things is changing everyday. Visa has been a leader in “a way to pay” since the 1960s, while PayPal is relatively new. However, each has its benefits. Neither company is struggling like American Express is though. Both of the companies are posting gains, while credit card companies like AmEx are declining in popularity. Why is this happening? Well, the trends point to one reason and one reason alone. American Express is still clinging to the traditional ways to pay while Visa and PayPal are making strides for people to be able to pay differently. What is the Value of Visa and PayPal? Over the past year or so, Visa has shown a total return of 20 percent and PayPal has shown to be up 6 percent since July of last year. PayPal hasn’t been trading all that long as a separate company, however, it seems that it will continue to climb the ladder where value is concerned. If you only take a simple surface look at the cost of each in the stock market, PayPal is seemingly more expensive. PayPal is earning in multiples of 39 versus the 28 Visa is currently sitting at. Where returns are concerned, Visa seems more expensive. The credit card company’s shares trade at 24 times the earnings estimates, while PayPal trades at 22 times earnings. When it comes to comparing dividends of each company, PayPal hasn’t returned much capital to its shareholders. However, there is still room for growth (which is exciting for many who dabble in stock). Visa, however, has the edge over PayPal when it comes to dividends. The company, which has been traded since 2008, only has an edge over PayPal because its simply been traded longer. In reality, the stock only yield 0.7 percent with a payout ratio of 18 percent. This payout ratio isn’t the greatest when compared to other credit card companies on the stock market. While the payout is less than most other companies, Visa is still paying out a higher dividend than PayPal (which is currently paying zero). However, PayPal is more likely to see growth in the coming years. Visa has been able to grow because most people use their cards to pay for things throughout the world. As countries (other than the United States) began opening up to the technology Visa required, Visa has grown. They are continually fighting the international competition though, but have been able to come out with both feet on the ground, establishing a pretty large footprint throughout the world. When it comes to growth, PayPal is making strides. Statistics from the company have shown increases in the 20 to 30 percent range for payment volume and the adjusted net income. These increases show a PayPal that is ready to gain a greater share of the e-commerce market as a whole. It has also been gunning for companies like Visa with in-store payment processing. The company has revealed it hopes to boost earnings per share as much as half during 2016. Each company is still growing, though one plans to grow much more than the other in the coming year. It is too early to say which company would be a better buy than the other. However, it may depend on people’s preferred way to pay. Will people be switching over to e-commerce and mobile payments versus a plastic credit card? As summer vacation draws closer, many people are looking for ways to earn some extra cash for a trip, a new swimsuit or maybe even the last little bit of money needed for a new boat! Many people will turn to having a yard sale while they do spring cleaning. Others may take on a second job or begin freelancing. However, there is a way you can make money without ever leaving your home. You may have heard of eBay. It is a place many people go to buy and sell various items online. eBay allows users to post items for sale and collect the cash through PayPal. Some users utilize the website as their main source of income. How do they make that much money on eBay? Obviously, the first thing anyone must do before they start making money on eBay is open an account. However, you need to open more than one kind of account to truly get started on eBay. You will need to open both an eBay seller account as well as a PayPal account. You may have heard many people complain that eBay is a lot of work that doesn’t truly pay off. Many people go to eBay to sell things like jeans they don’t wear or jewelry they don’t use. No matter what you are trying to sell, you can sell it on eBay. However, the manner in which you approach the sale can make all the difference. Take a picture: In order to post an item for sale on eBay, you are required to post a photo as well. The quality and quantity of photos that you post can make all the difference though. You should post clear photos that are not blurry and that do not look old. You should also post more pictures than the usual posting. You can use outside managing apps so that you do not have to pay eBay’s fee for additional photos. This is the first key step into making money on eBay. Do some research: Look into whether there is a market for the item you are selling or not. You can do a simple Google search on your item, find out if it is in high demand and also be able to find the right price for the listing. Researching the items will also help you with the keyword optimization of your listing. Timing may mean everything: eBay listings last for about 10 days. If you post your listing on a Thursday, the 10 days will last over the span of two weekends. More people are shopping on eBay over the weekends, so this can greatly benefit your selling price. Pricing: You want to have a competitive price. When you do your research, look at what the item is selling for and post a competitive price. If you do this as an auction, you may be able to get more money than most other people if there are enough interested parties. Either way, you’ll be getting it out of your home and sold for some extra cash. Find a niche: If you can find a niche department on eBay to sell within, that is ideal. Of course, if you aim to make a living with eBay, this shouldn’t be a problem. You can buy a significant lot of something (Legos, porcelain dolls, hobbies, etc.). You can make a significant amount of money on eBay, especially if you have the time to spend with it. Many retirees use it as supplemental income. Other people use it as primary income and some people use it to simply sell some extra items they have around the house. Whatever the case may be, there is a way to make extra money on eBay. PayPal began trading today as an independent company. 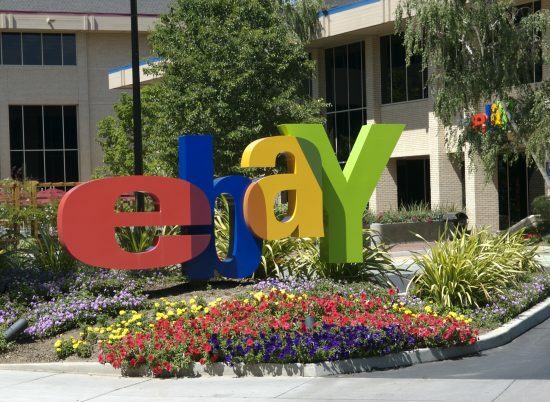 No longer is PayPal affiliated with eBay. And what a day it has been! PayPal ($49.5 billion) is valued above Netflix ($47.1 billion), eBay ($33.7 billion), and Twitter ($23.9 billion). The company is a powerhouse and shows no sign of giving up to the new players in town. Since the early 2000’s, PayPal has been the go-to service for internet entrepreneurs and eBay shoppers. PayPal earns praise for its ease-of-use and ability to make international bank transfers with ease. Services such as Venmo and Braintree are popular alternatives for many. However, they are both owned by PayPal. Neither of which do global transactions. Xoom does international transactions but was acquired by PayPal earlier this month. It seems PayPal would rather spend money to eat up the competition than lower their fees. The problem with PayPal is that many people believe the company has grown complacent over the past decade. Even PayPal founder Elon Musk said PayPal is still full of mistakes he intended to fix if he hadn’t sold the company to eBay. Elon Musk also says PayPal fees are outrageous. Most users agree but PayPal is about the only way to easily transfer money internationally. Many PayPal users agree with Musk. PayPal currently takes 2.9% plus $.30. That may not seem like a lot. But for someone who uses PayPal every day, that amount will quickly become depressing. Someone running an online business will likely receive most of their payments through PayPal. Should that business person earn $100,000 in a year, they will have to pay $2,900.30 in PayPal fees alone! That’s before they pay taxes and other business expenses. PayPal is expensive and there’s a lot to be improved on. It’s why the world is paying so much attention to PayPal’s recent rise to independence. Hopefully things change. Hopefully fees decrease. But what does the future of PayPal look like from a user’s perspective? Why should we care about PayPal’s new-found independence? First off, eBay will still be PayPal friendly. 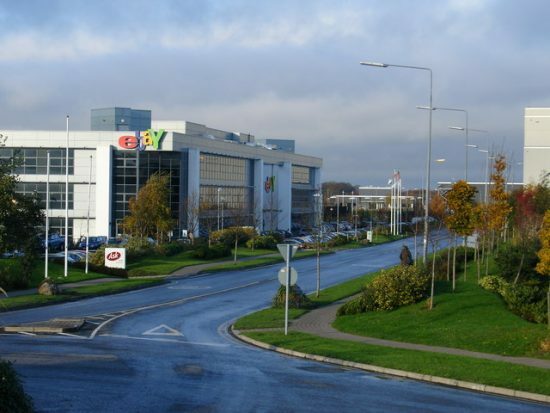 They have promised that 80% of sales in the eBay Marketplace will still be routed through PayPal for the next five years. However, PayPal is seeing some stiff competition elsewhere. With more and more money to be made in the digital Wild West, the competitors are flocking. PayPal must face competition from Apple Pay, Android Pay, Stripe, and others. Hopefully this drives fees down for consumers. The trick for the other users will be to gain market share from enough big online players that everyone begins to slide away from PayPal. Many people want to leave PayPal but there’s just no good alternative for making online purchases or international payments. Many companies only have PayPal accounts.That’s how successful PayPal has been. At this point, PayPal has made no announcements for change. It seems PayPal is just proud of who they are, rather than what they may become. A quick visit to PayPal.com just shows that PayPal has gathered a massive share of the digital money transfer market space. We will keep an eye on the future of PayPal. Hopefully either fees go down or the stock price goes down.